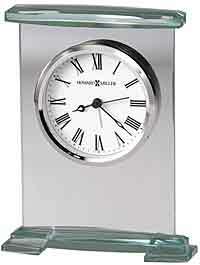 Glass, bracket style alarm clock is constructed of curved beveled glass panels. Dial offers a white background with black Roman numerals beneath glass and a polished silver-tone bezel. 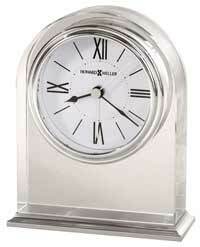 The hour, minute and second hands are black while alarm hand is silver. 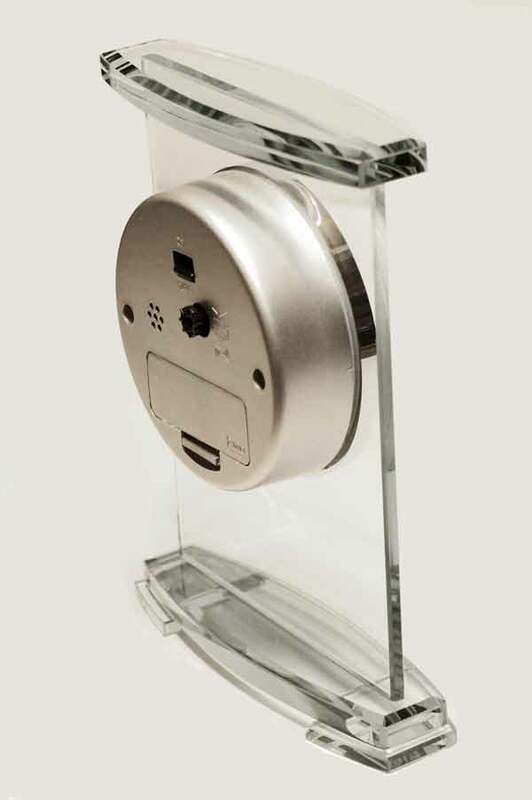 Accurate Quartz, beep alarm movement includes the battery (uses 1 AA battery). Size: Height 7", Width 5", Depth 2". 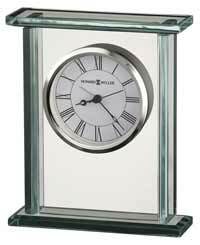 Clocks for sale at The Clock Depot including the 645-691 at discount prices.